(CBS News) Many have been touting the benefits of red wine, but a new study shows that non-alcoholic red wine may be best for men's cardiovascular health. According to researchers at the Hospital Clinic of Barcelona, drinking moderate amounts of non-alcoholic red wine for four weeks was able to reduce systolic and diastolic blood pressure. Drinking alcoholic red wine, however, did not lead to any significant changes. The study was published online on Sept. 6 in Circulation Research. For the study, researchers asked 67 men with diabetes or three or more cardiovascular risk factors - including high blood pressure, high cholesterol, being overweight or obese, smoking or a family history of coronary heart disease - to spend four weeks drinking either 10 ounces of red wine, 10 ounces of non-alcoholic red wine or 3 ounces of gin daily. After the four week period, they switched to a different beverage and then switched again until they consumed all three beverages. Men who drank the non-alcoholic red wine had an average deduction of 6mmHg in systolic and 2mmHg diastolic blood pressure, equaling a reduction of heart disease risk by 14 percent and stroke by as much as 20 percent. The alcoholic and non-alcoholic red wine had the same amounts of polyphenols, an antioxidant that decreases blood pressure. This lead researchers to believe the alcohol in the red wine may be lowering the substance's effect to lower blood pressure. "The non-alcoholic part of the wine -- namely polyphenols -- exert a protective effect on the cardiovascular system," researcher Dr. Ramon Estruch, senior consultant at the internal medicine department of the Hospital Clinic of Barcelona in Barcelona, Spain, said to WebMD. "Polyphenols also have anti-inflammatory and antioxidant properties that may be useful to prevent other disease such as diabetes." Dr. Suzanne Steinbaum, attending cardiologist and the Director of Women and Heart Disease of the Heart and Vascular Institute of Lenox Hill Hospital in New York City, told WebMD that she thinks the research will be welcome news to people who can't or don't want to consume alcohol. She was not involved in the study. "Certain people don't want to drink alcohol, so here we have an alternative way for them to get the heart health benefits," she said. 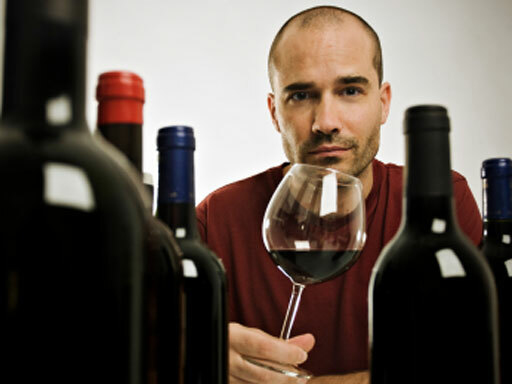 "It's not so much the alcohol as it is the polyphenols in red wine." However, Dr. Sharonne Hayes, a cardiologist at the Mayo Clinic in Rochester, Minn, warns that people shouldn't start stocking up on non-alcoholic red wine just yet. Calling the work "a hypothesis-generating study" to HealthDay, she added that the small number of subjects and the lack of control group may have skewed the results. Also, it's a known fact that blood pressure goes up when people stop drinking alcohol, even when the person isn't a heavy drinker. Because there was a two week detox period before the start of the trial and no detox periods inbetween drinking each group of beverages, the previous activity could have influenced the results. "Gin, Mai Tais, wine, beer -- a lot of studies would suggest that when it all comes down to it, it's the alcohol. But then there was a rise of interest in polyphenols -- resveratrol in red wine and grapes. But most of those studies showed that giving polyphenols by themselves showed no benefit or change. So the thinking has circled back to maybe it's just the alcohol," Hayes said.